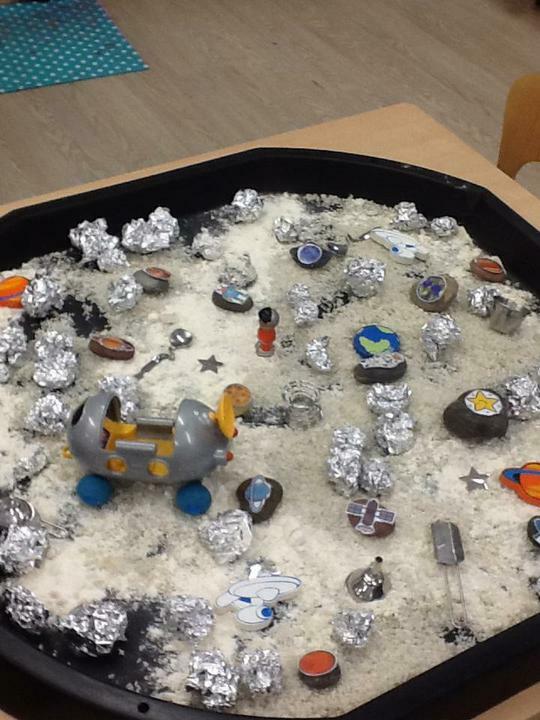 We completed our mini-topic, exploring the Polar regions. 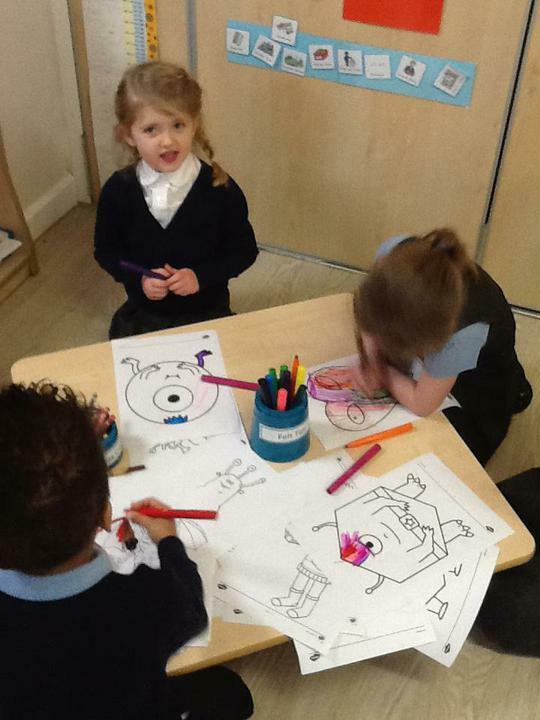 We took a closer look at some of the animals that live there including polar bears and penguins. 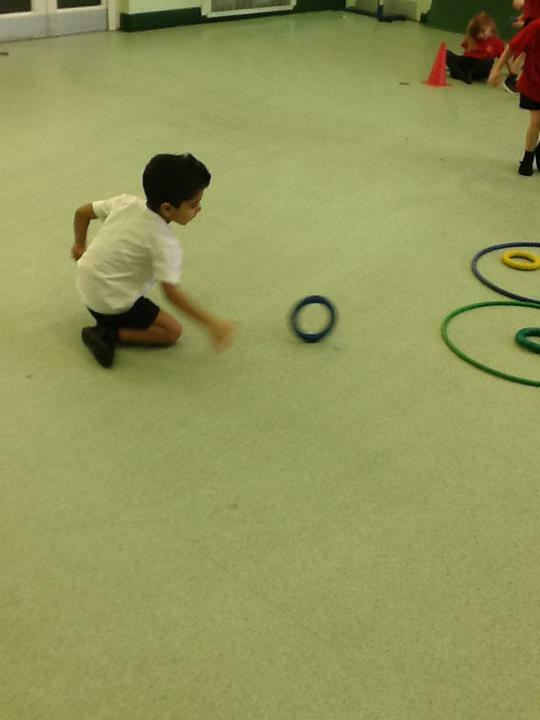 We sorted the Polar animals in sorting hoops using different criteria. 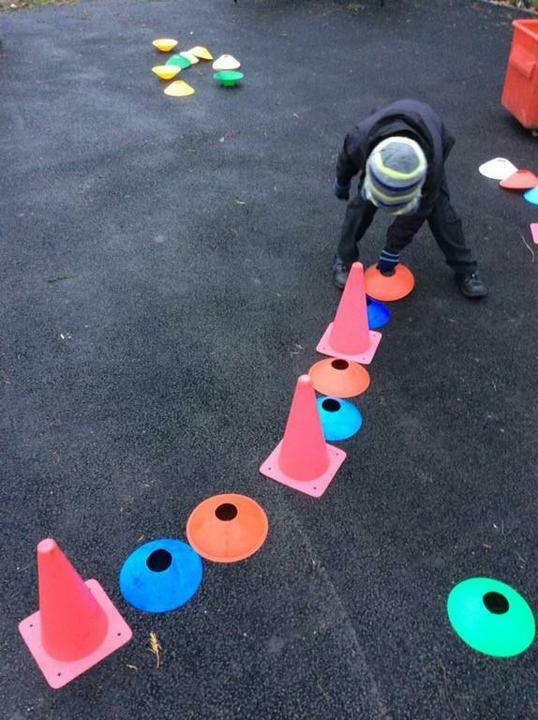 We conducted an experiment to see where in our classroom ice would melt the quickest in which we made predictions and recorded our findings. 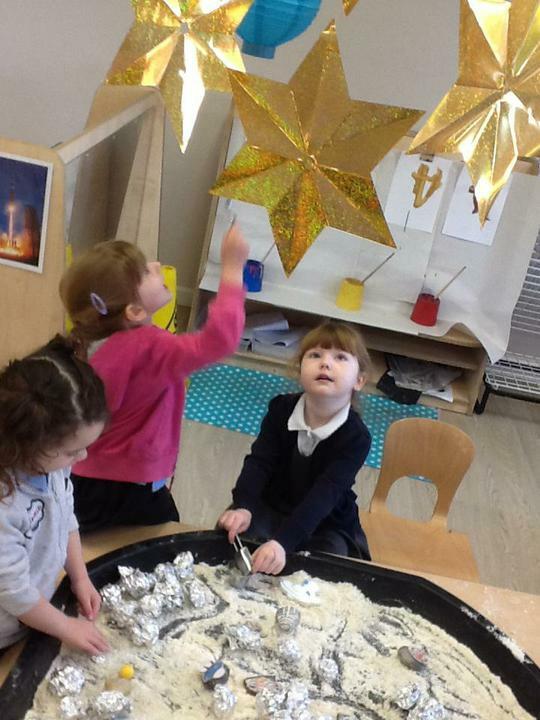 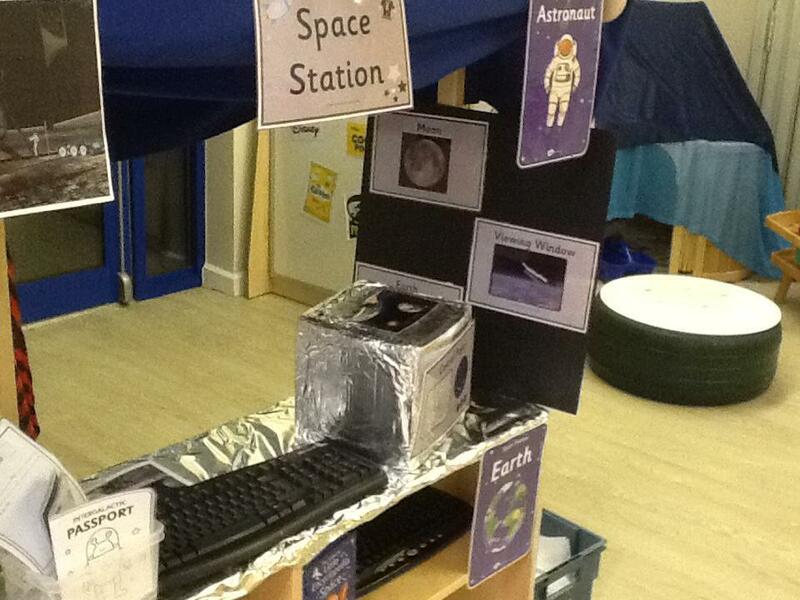 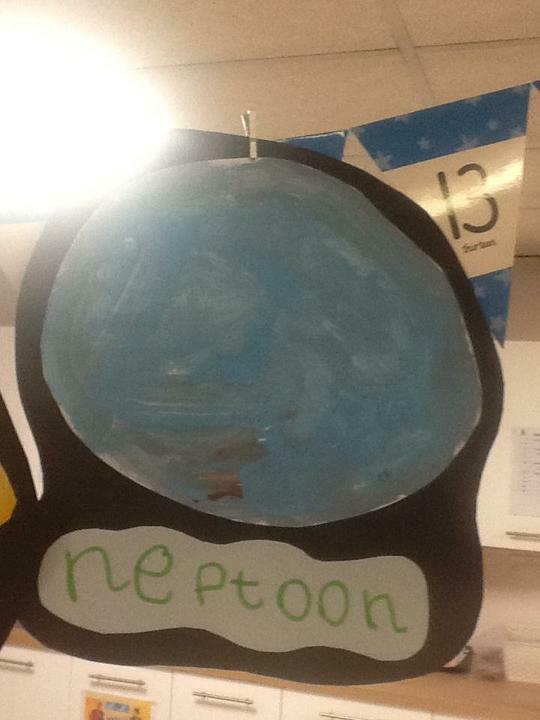 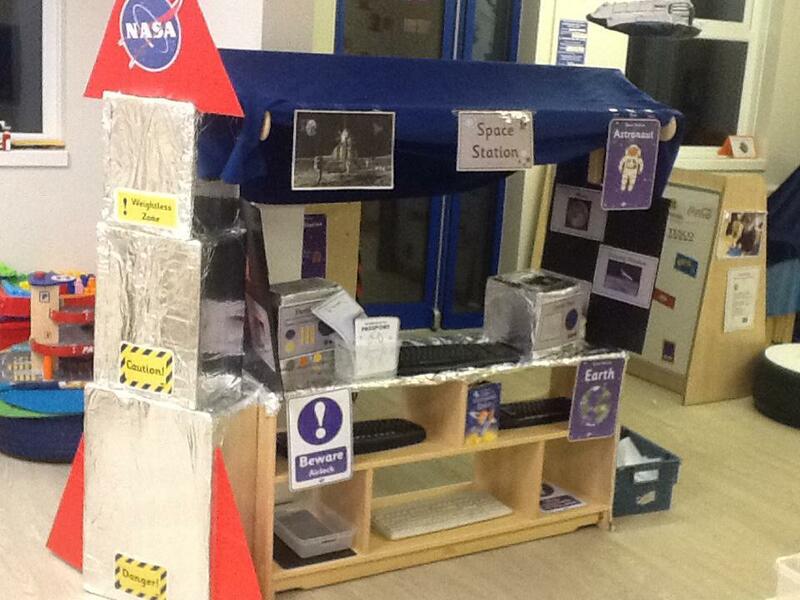 We began a new topic this term about Space. 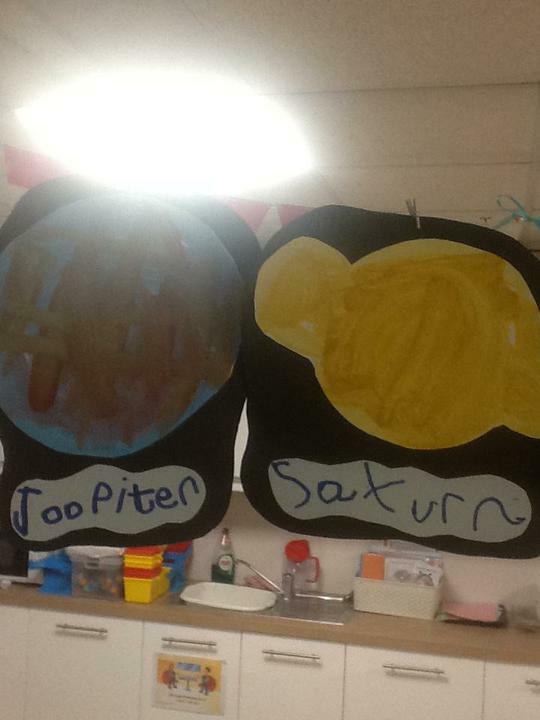 Already, we have discussed what we already know about Space, the solar system, the names of the planets, the milky-way and the moon. 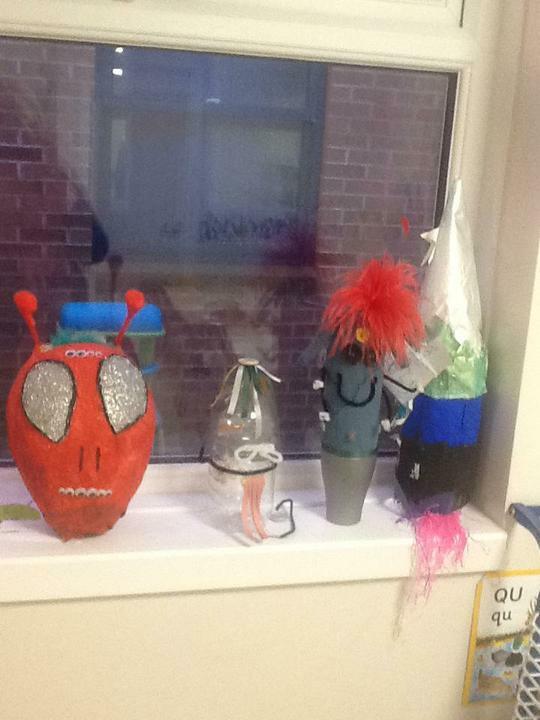 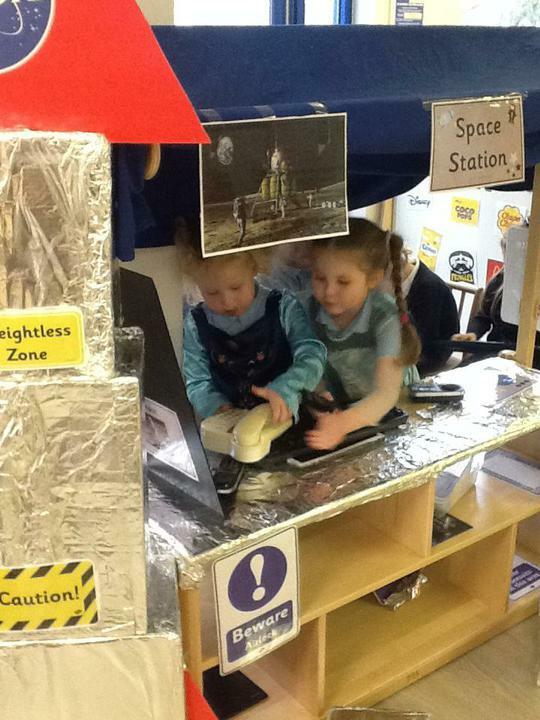 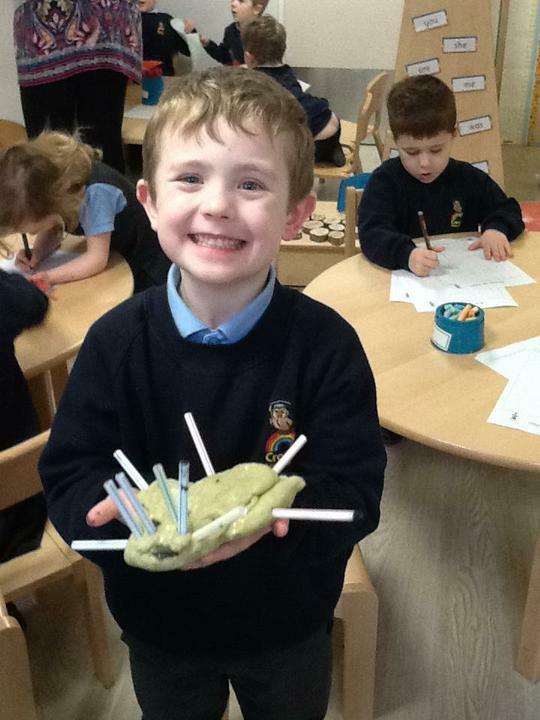 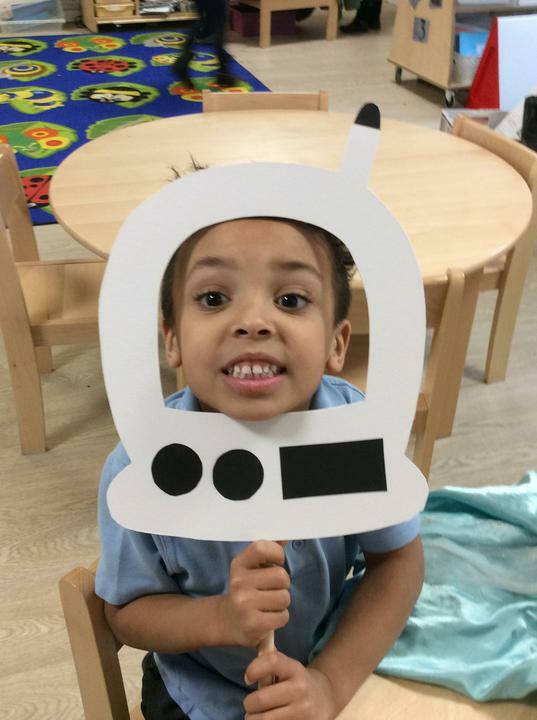 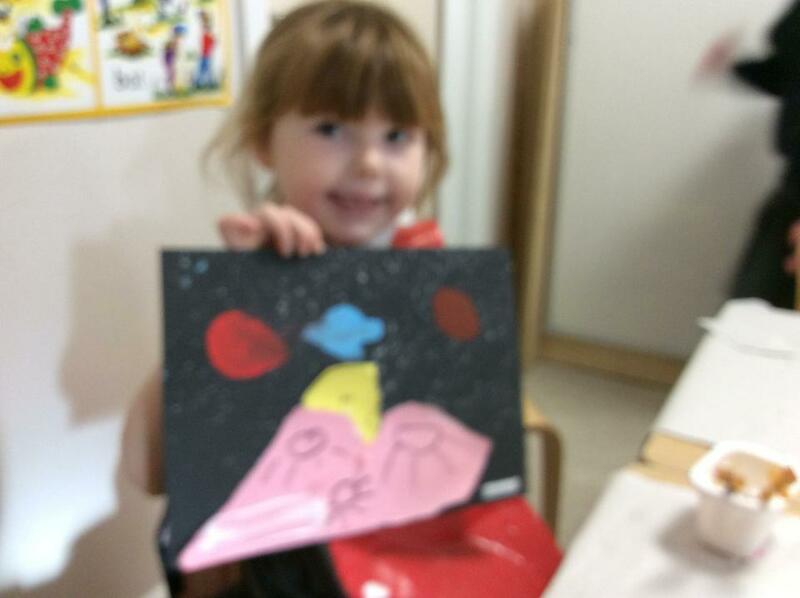 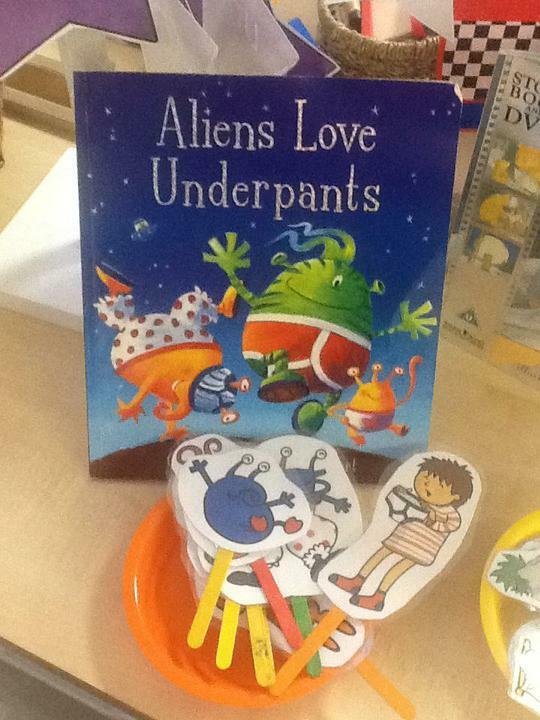 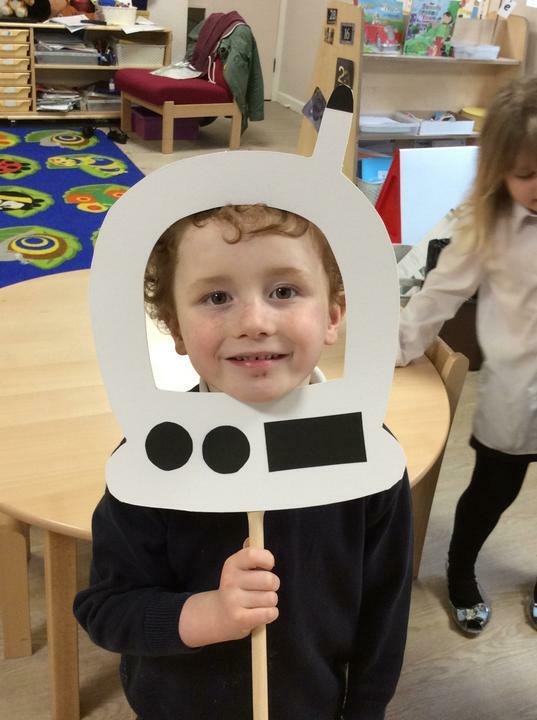 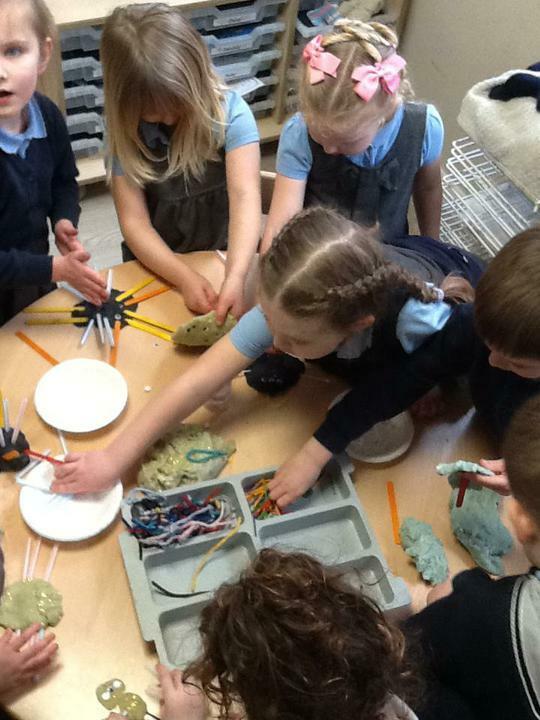 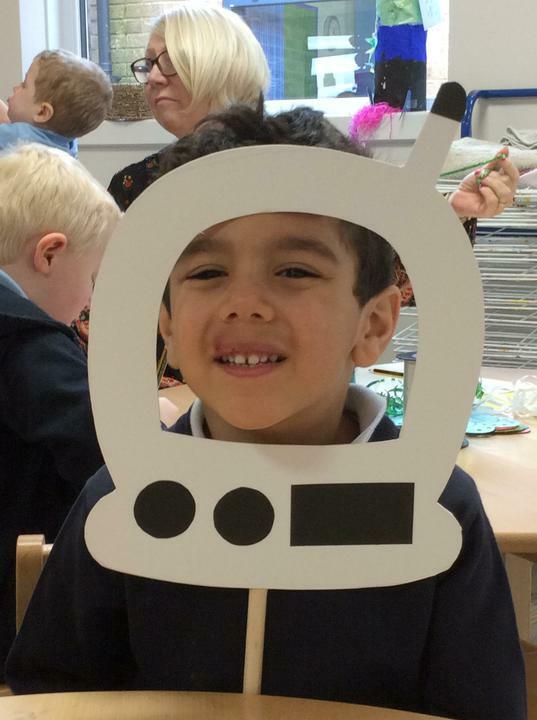 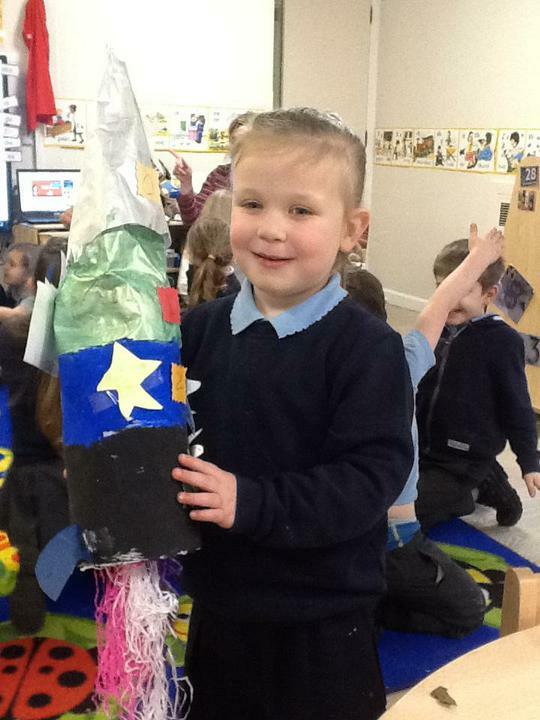 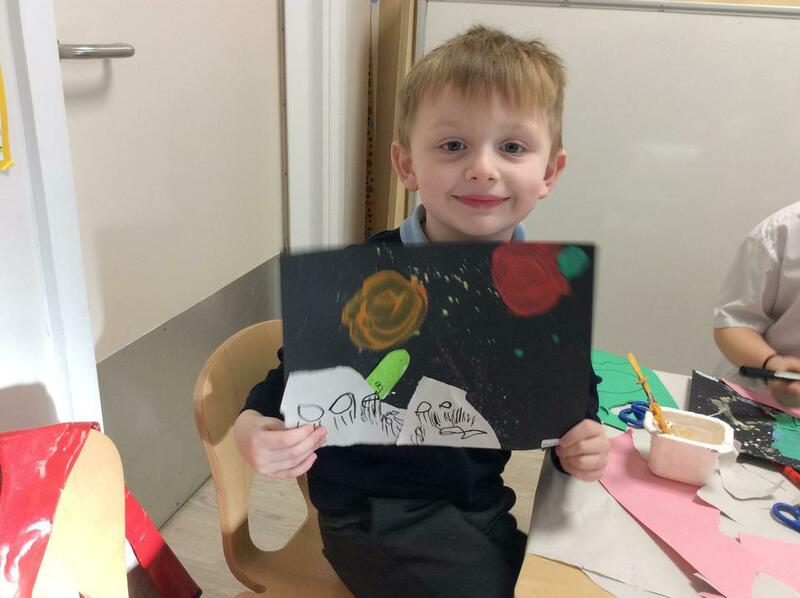 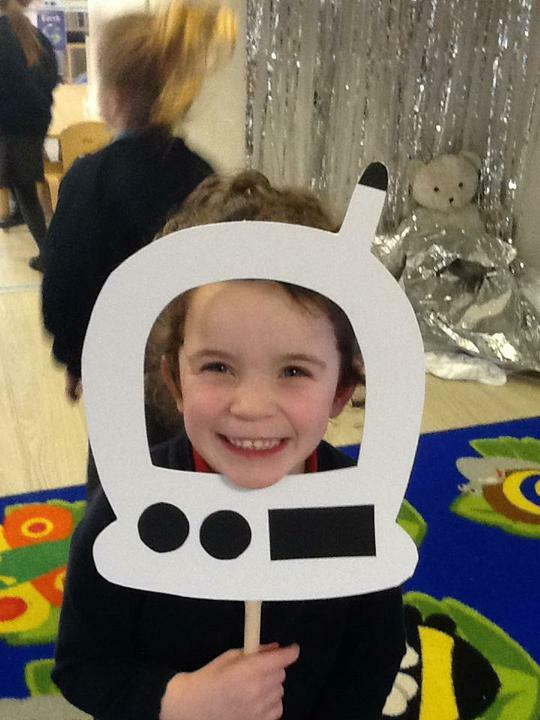 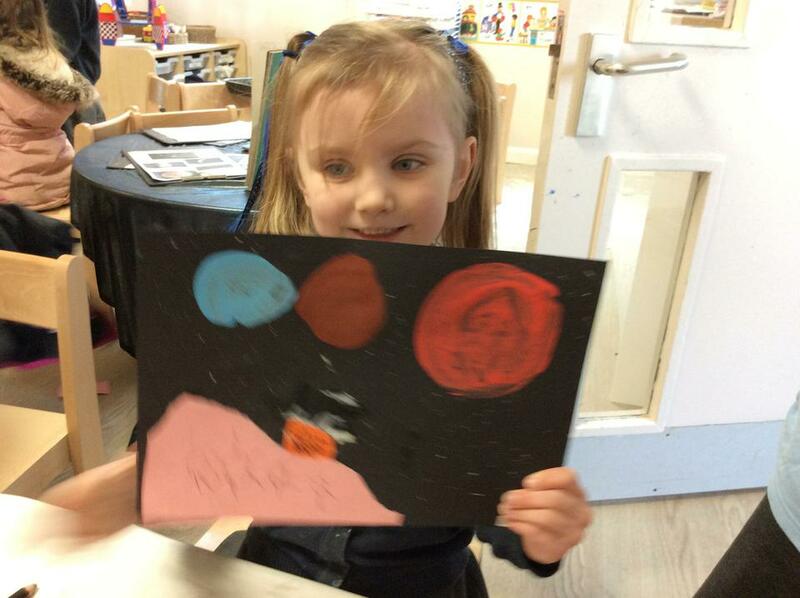 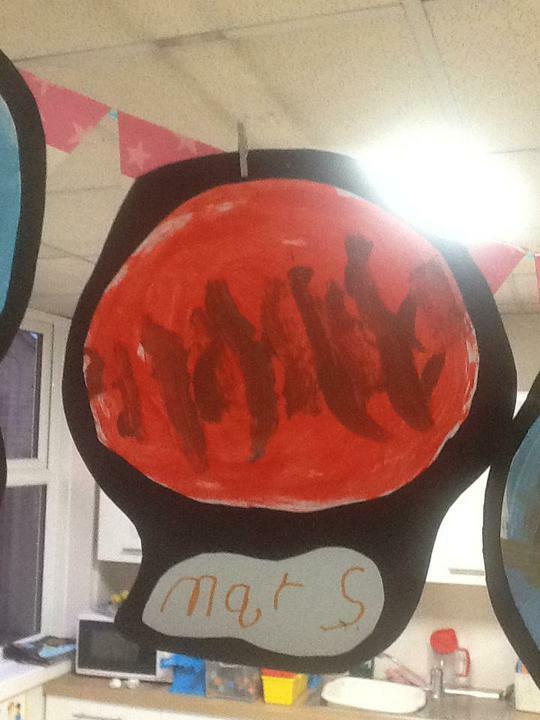 We have written Space poems, made a space rocket with our own astronaut face, made craft and playdough aliens, made a space picture written about the moon and shared stories with a space theme such as Aliens love Underpants and Man on the Moon. 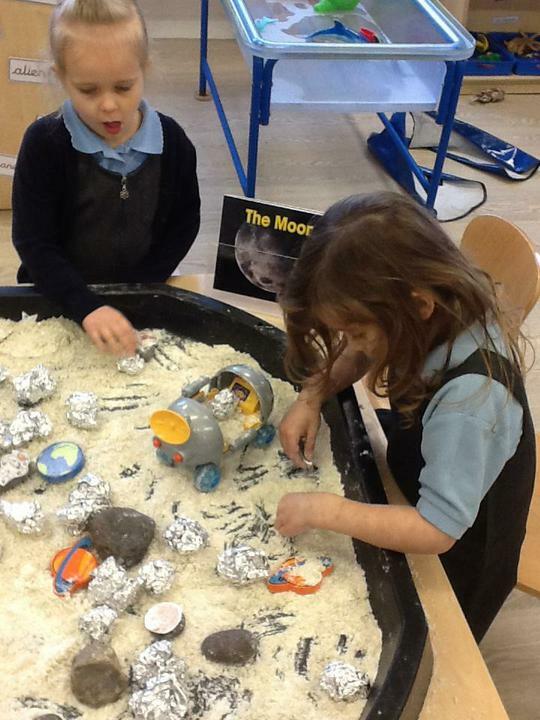 We have investigated how craters are formed on the moon and baked moon rocks. 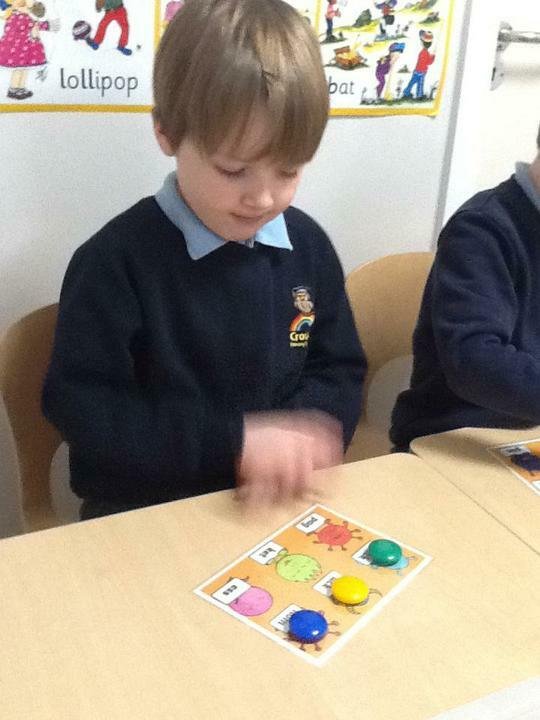 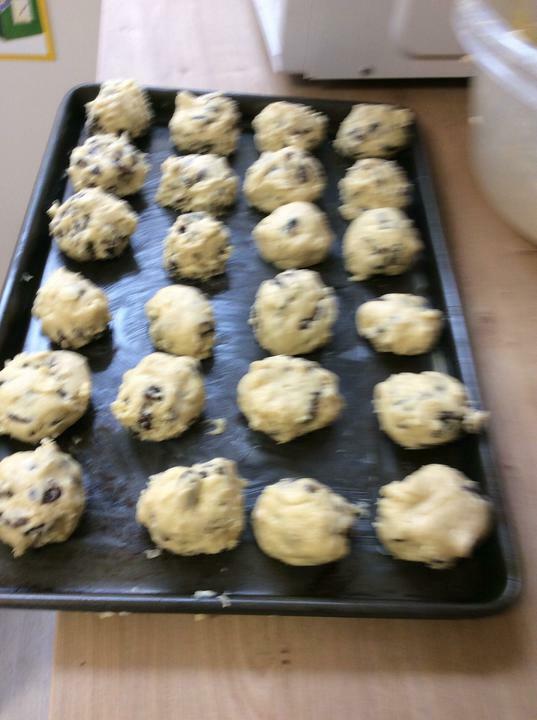 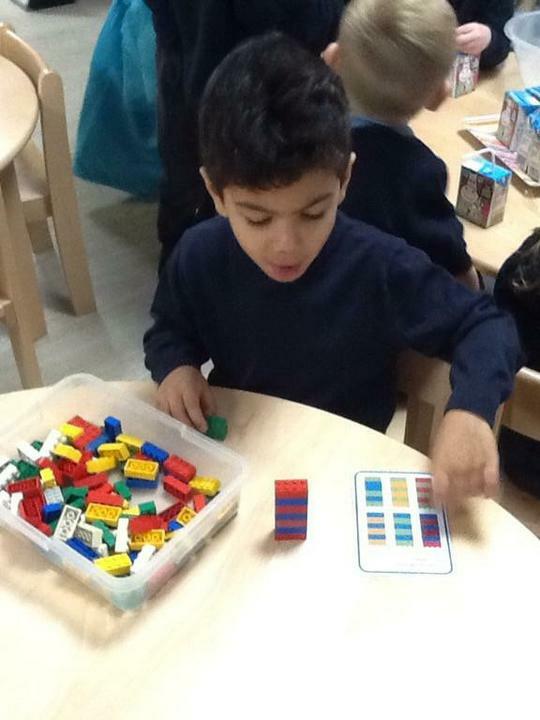 In maths we have practiced counting to 100, compared and ordered numbers to 20. 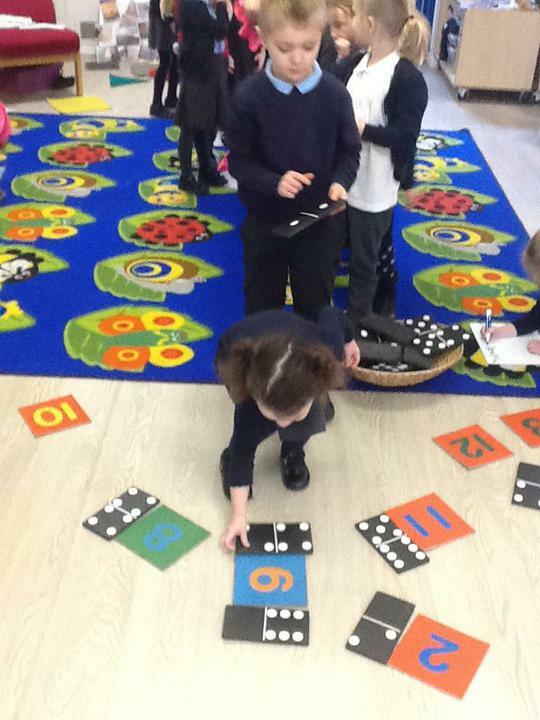 We have estimated numbers of objects and completed activities to show that teen numbers are 10 plus some more. 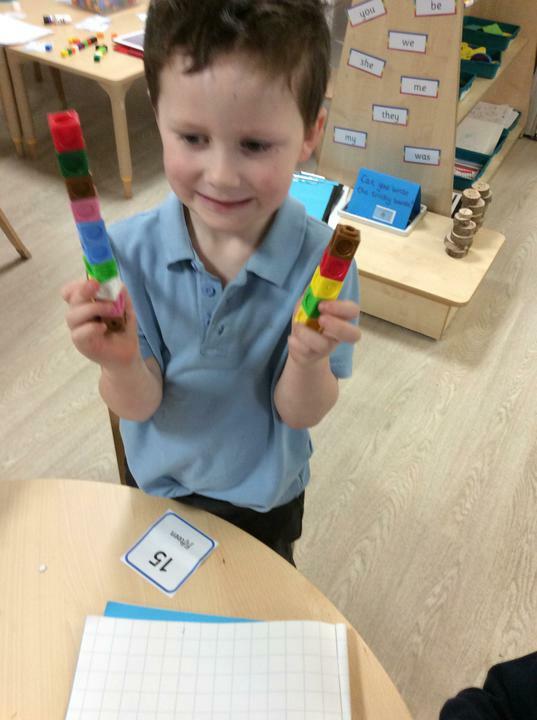 We know how to double and halve objects and quantities. 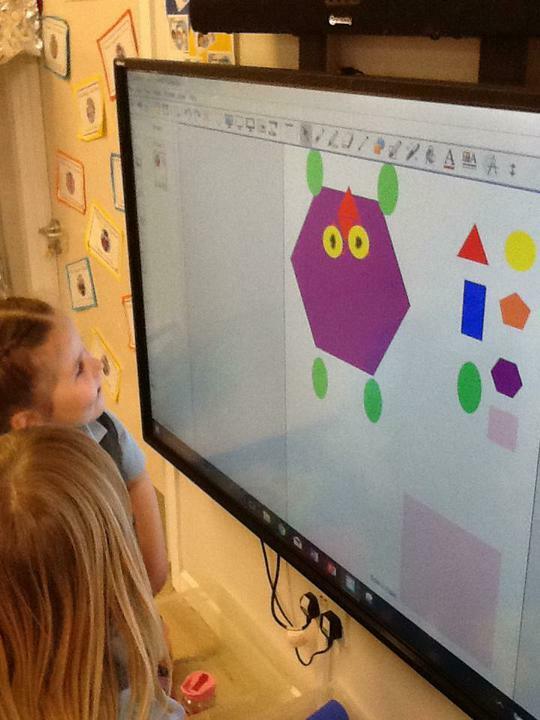 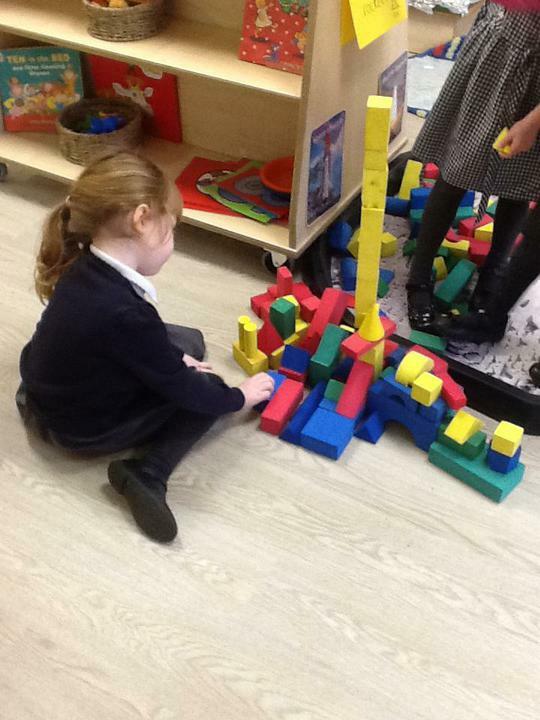 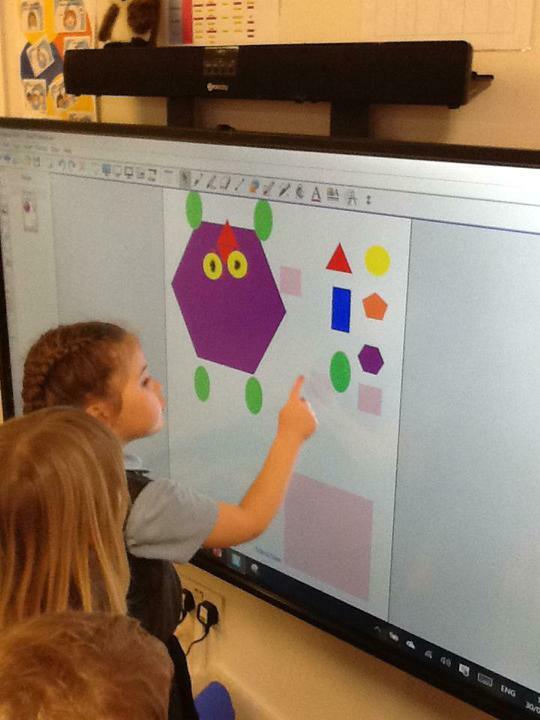 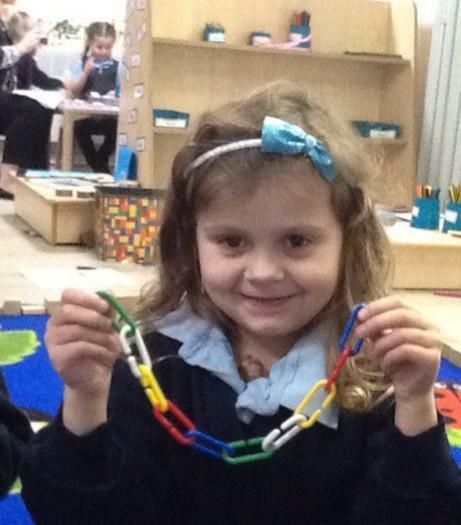 We have explored pattern, symmetry and 2d and 3d shapes. 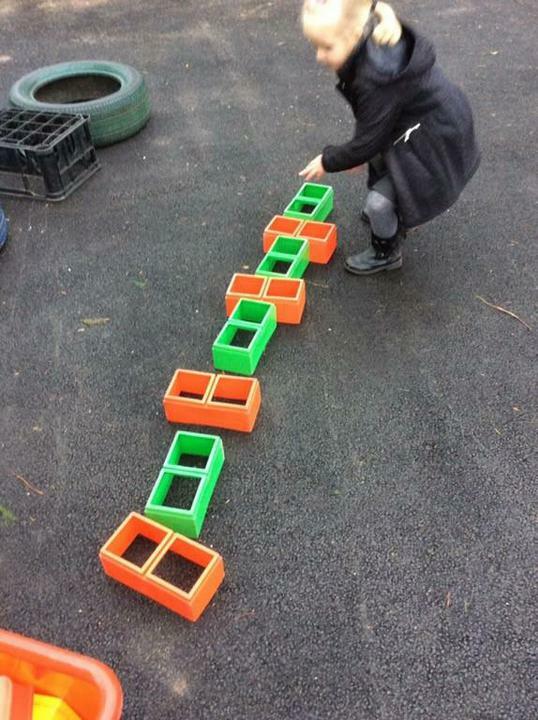 We have compared lengths and heights in size ordering activities and by measuring aliens with cubes. 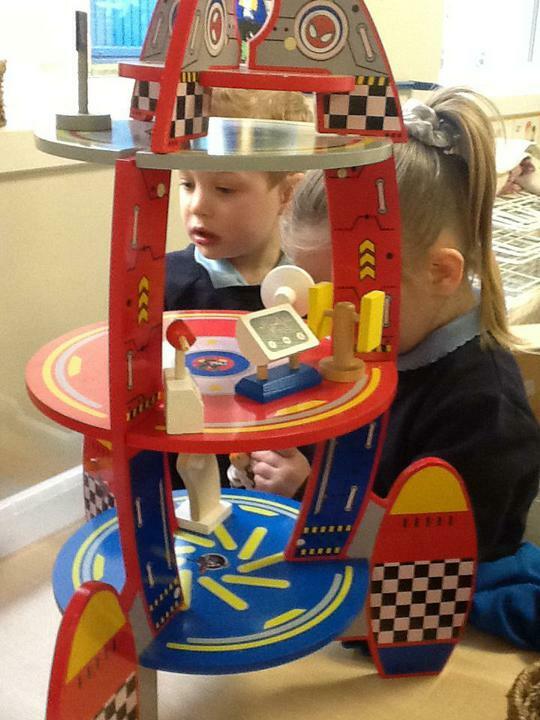 We used balance scales to find compare and order the weight of objects. 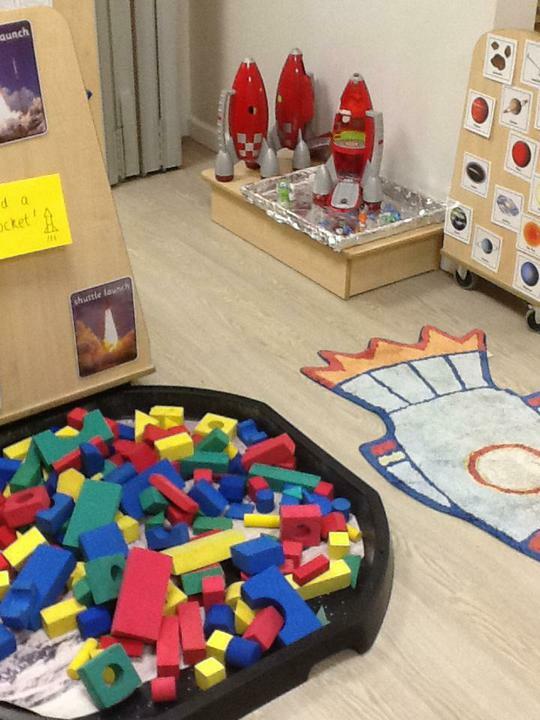 We have shared a wide range of stories relating to our topic. 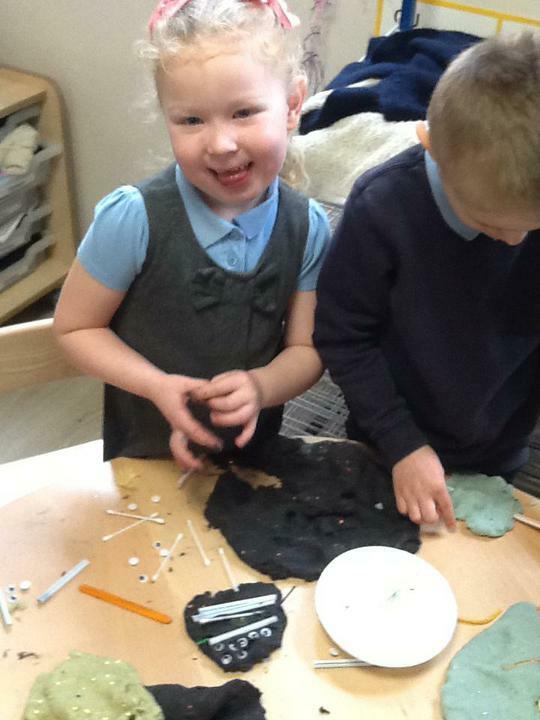 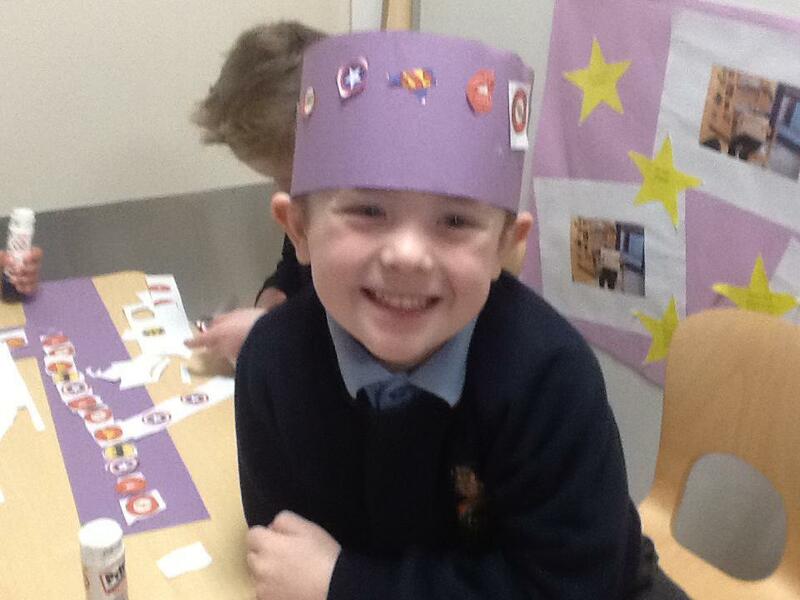 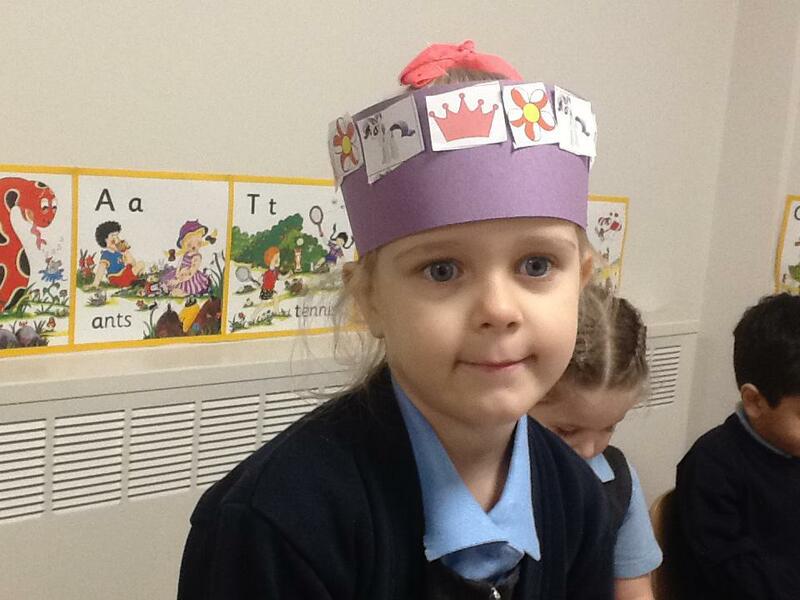 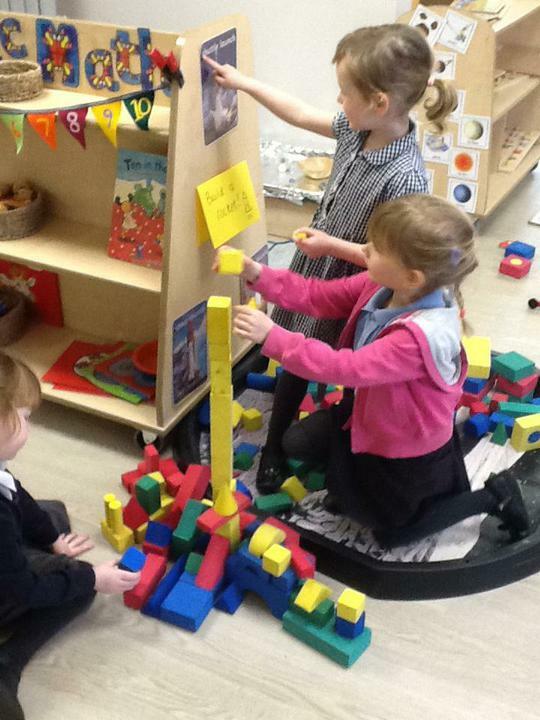 We have been writing for lots of different purposes – poems, facts, labels, writing about a story. 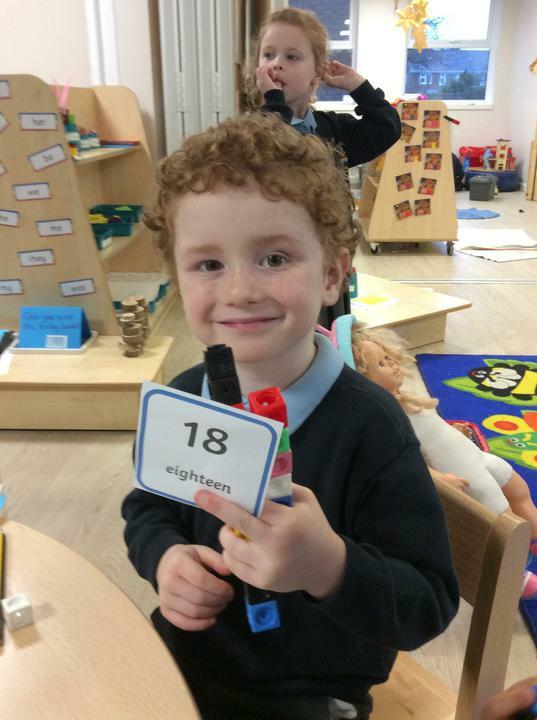 We have been learning how to construct a simple sentence and we are able to order and substitute words in a sentence making sure it makes sense. 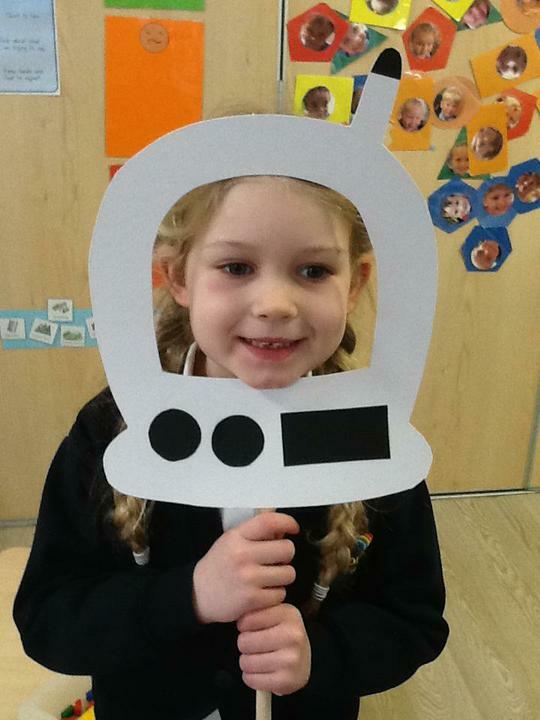 We have learnt lots of vocabulary related to our topics and stories. 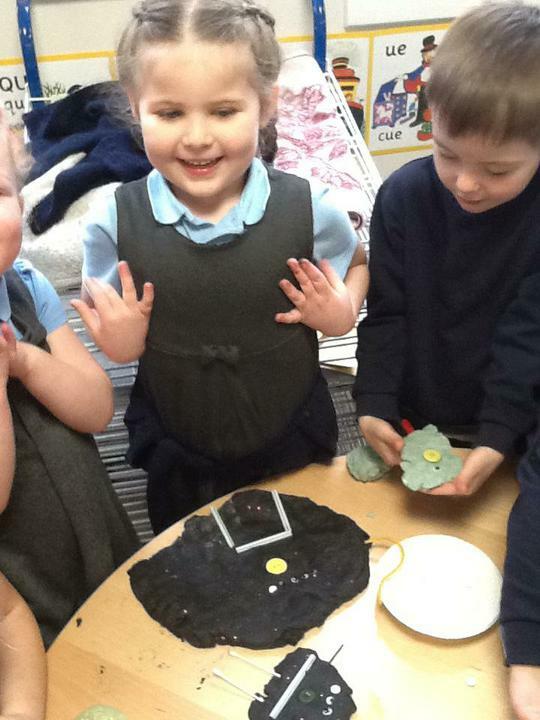 We have retold stories with story language using a story map. 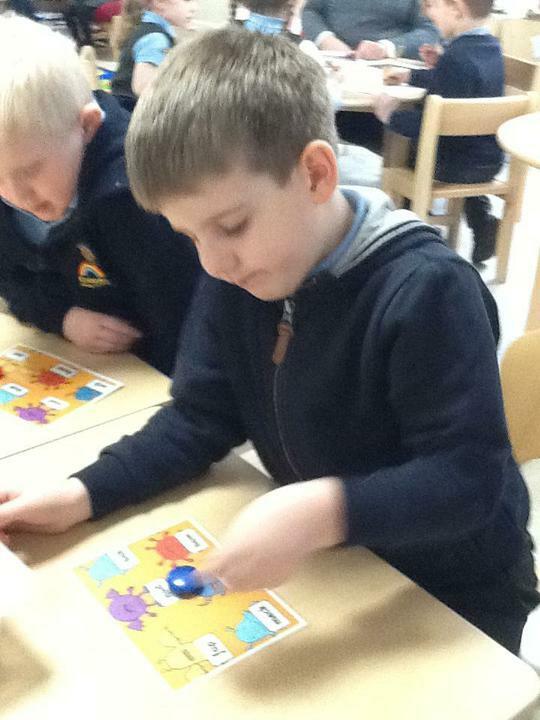 In phonics we have continued to read and write sentences containing phase 3 phonemes and tricky words including 2-syllable words. 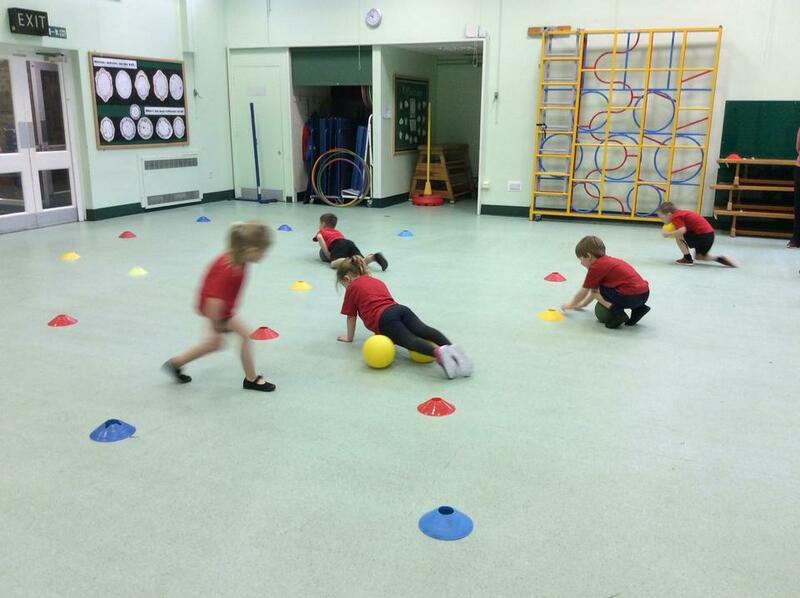 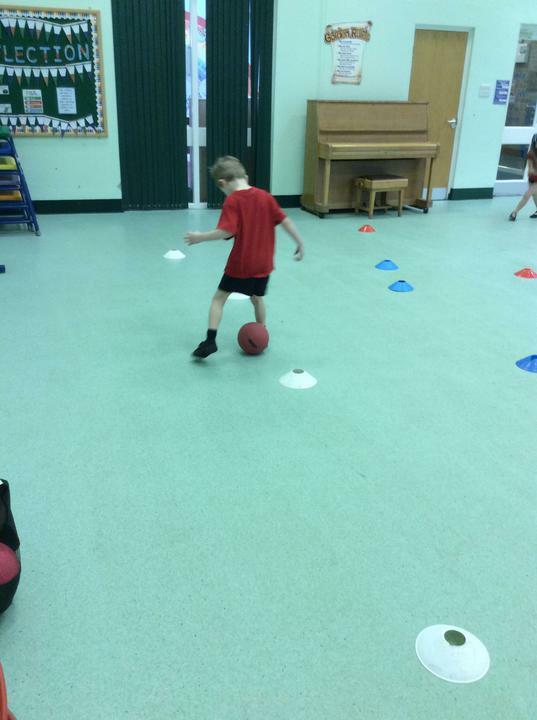 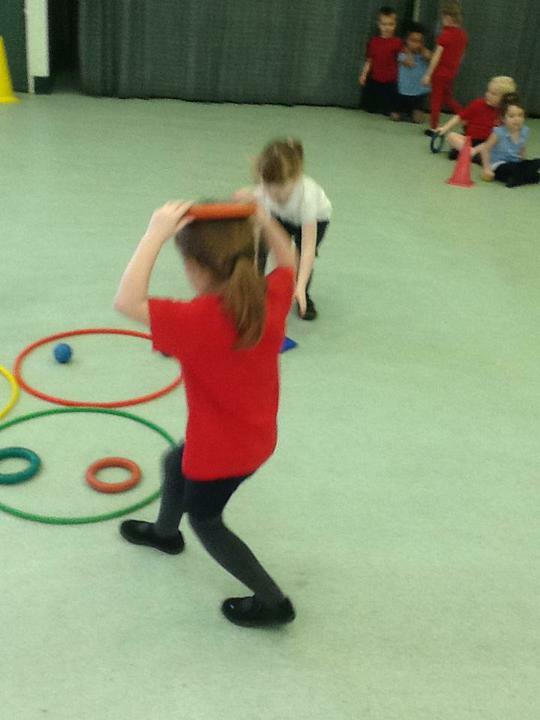 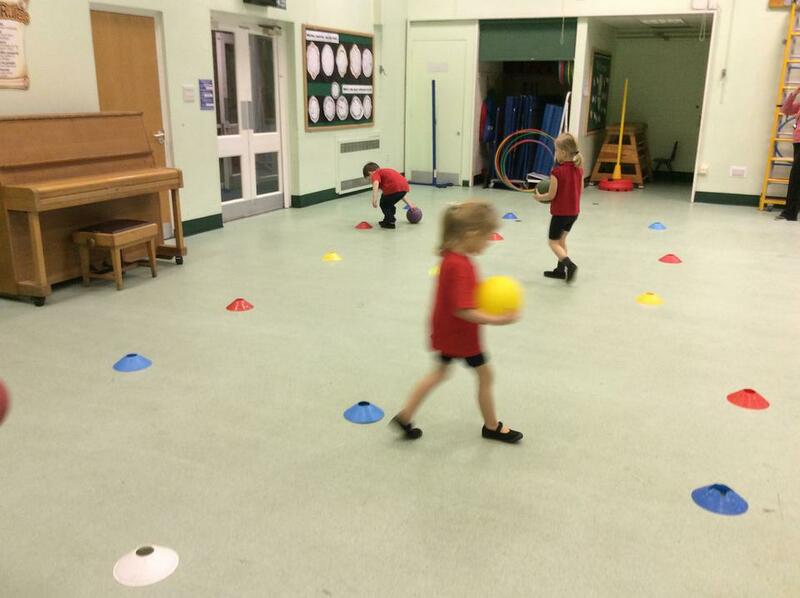 In PE our focus was object control. 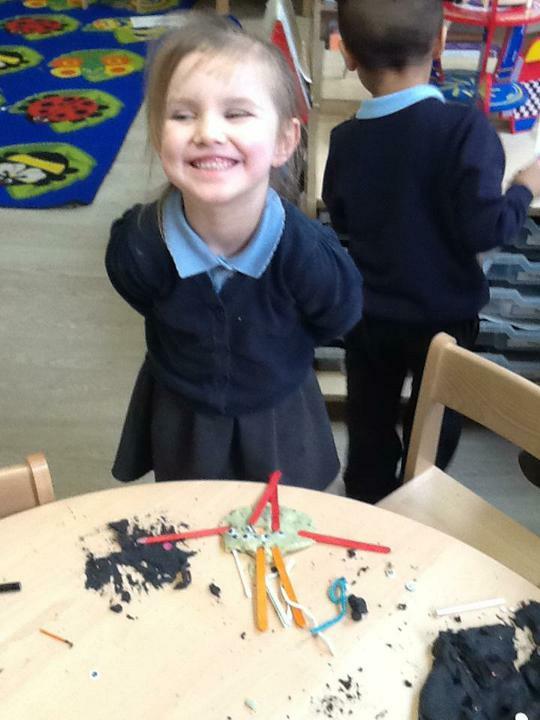 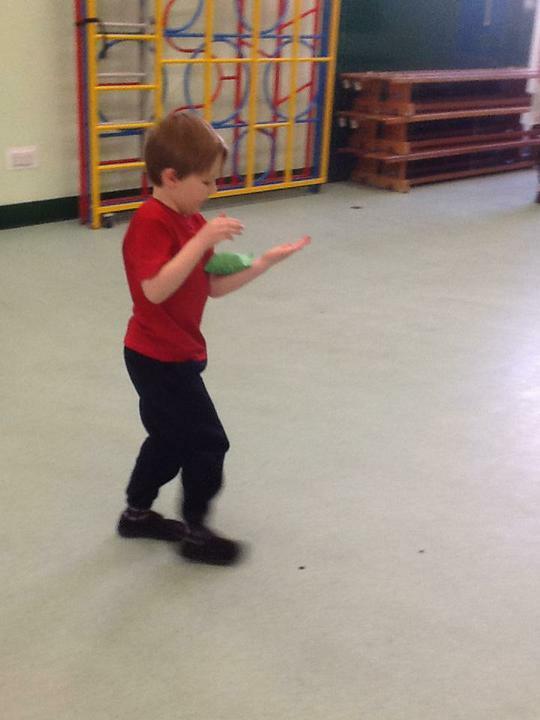 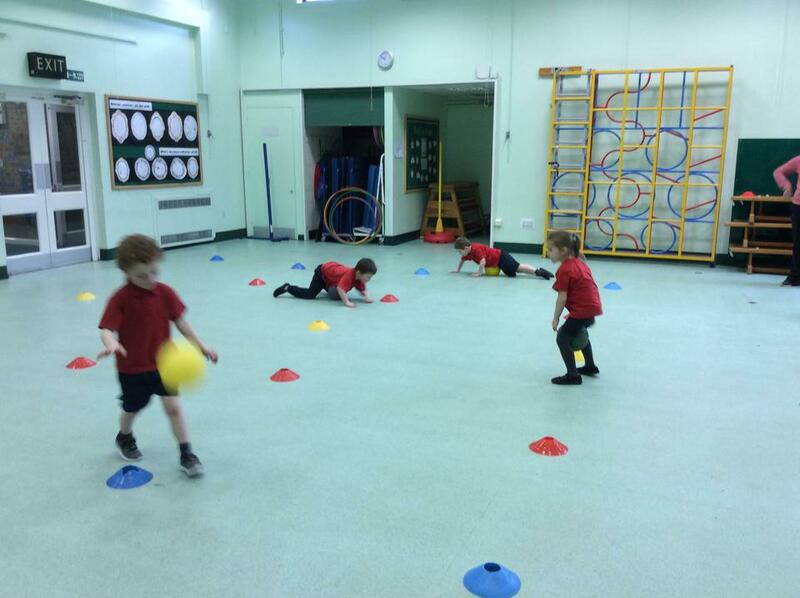 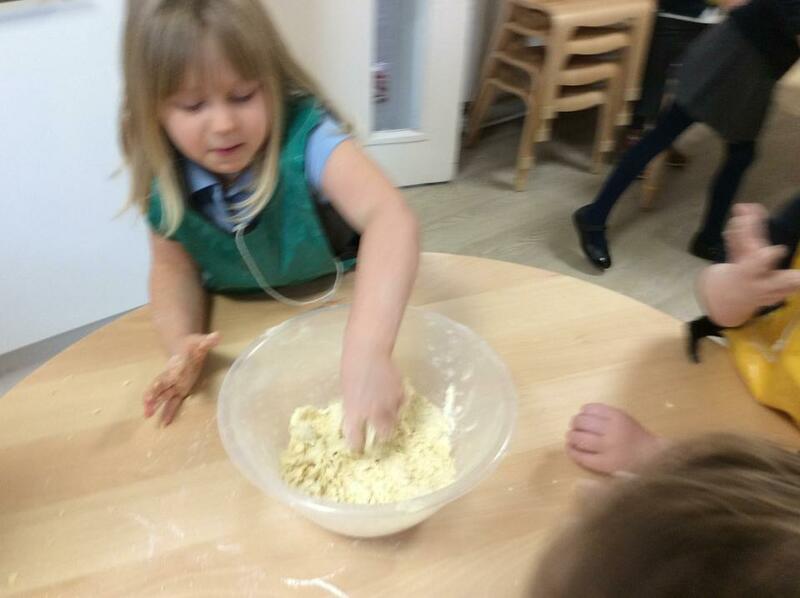 We have been learning to control a wide range of objects by pushing, patting, throwing, catching or kicking with control.. 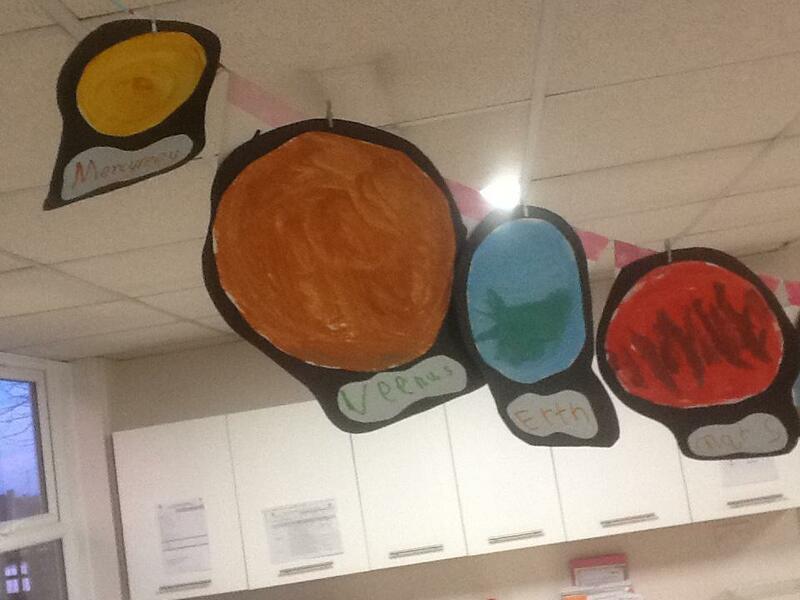 In PSHE work our learning has been based on ‘Dreams and Goals’. 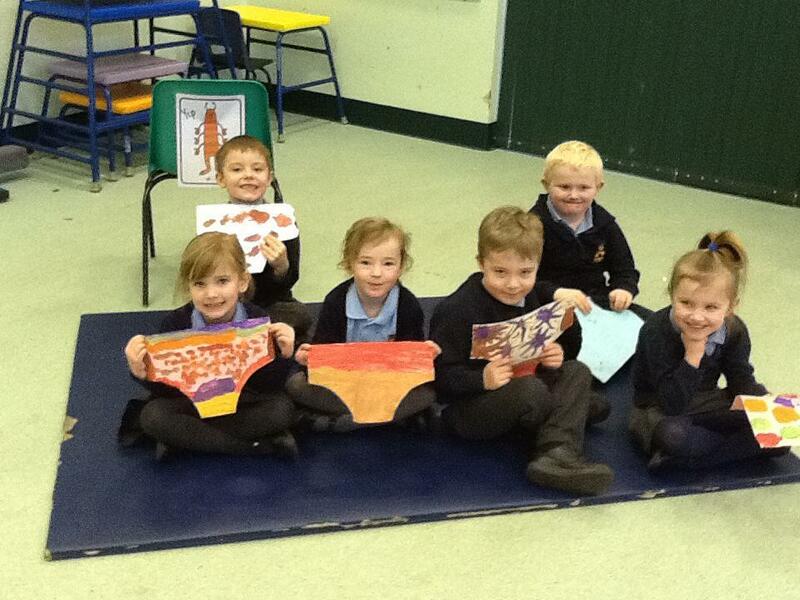 In our last session we all discussed if and how we have achieved our goals and we received a special certificate.